I spent around ten hours with Mountain, the new app by David OReilly, who directed an episode of Adventure Time and the video game sequence in Her. I thought it would be unique and intriguing. I was not expecting a cross between 2001, Katamari Damacy, and Monopoly. When I heard OReilly had a new game coming out, I wondered what sort of game would it be? Would it be a playful and profane adventure game like the one OReilly designed for Spike Jonze's Her? Or would it be disturbing and glitch-filled like his Adventure Time episode? Or would it be shocking like his entry for a Sesame Street competition in 2010? All of those creations are alike in that they're surprising and provoke an emotional response. So too with Mountain. From the start, Mountain is a mystery. 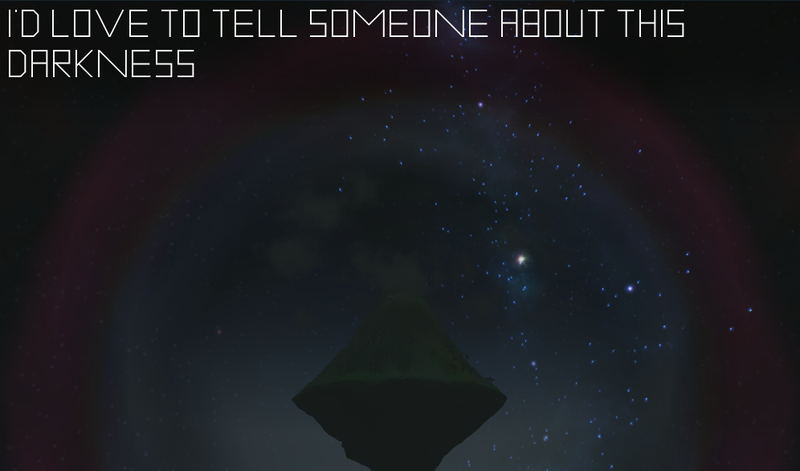 It asks you quick questions and generates a mountain. A seemingly sentient mountain. The scene is idyllic, and the music soothing. As the mountain slowly rotates, the seasons change and fireflies flit about. It's beautiful. But as you pull back, you discover that the mountain is not a mountain at all, but a biosphere in space. The music becomes ominous, creating a threatening mood reminiscent of 2001. What is this mountain? What are the nearby asteroids? And is interacting with the mountain by rotating and playing melodies on the keyboard somehow causing its mood swings? What was it? A...horse? That embedded itself in the mountain? Mountain is not really a game. It's more like a digital biosphere that you can leave running on your iPhone or computer and occasionally check up on. 50 hours of "gameplay" are promised, with some sort of ending. It's 99 cents for iOS and desktop. Of the two, I recommend the desktop version, especially if you have a large monitor. The sense of scale is far more impactful, and you can leave the program running in the background and be reminded by sound if something happens to the mountain.